Not long ago, PSA Peugeot Citroën was the leading electric car manufacturer. 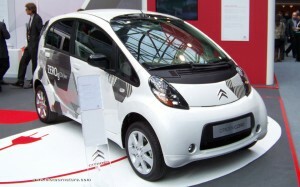 With its 2 brands (Peugeot and Citroën), the french company had sold close to 10,000 electric cars (Citroën Saxo and Berlingo, Peugeot 106 and Partner). They were sold at a loss, but the manufacturer got a lot sympathy with these models. Before stopping their production in 2002. 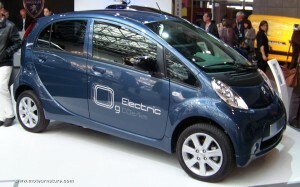 Now the french manufacturer is back with electric cars. All green car fans should rejoice everywhere, but it’s not so easy because the future electric cars from Peugeot and Citroën won’t have anything french. They will be japanese cars, built in Japan by japanese workers: they will be clones of the Mitsubishi i-MiEV, built on the same assembly line. The picture on the left shows the Citroën C-Zero, the one on the right shows the Peugeot Ion. I don’t think of myself as conservative, and I’m not chauvinistic, but as a french I don’t like it when I see one of the largest french companies choosing not to develop its own technology, but buying one from a foreign company. Still, I understand business. I’ve had a very close look of the Mitsubishi i-MIEV, and I can imagine it would have taken a pretty large investment to come with something as good starting from scratch. And I will always prefer an electric french car made in Japan to the absence of an electric model in the french car manufacturer’s range. But I thought this was only a shortcut, a way to get quickly on the electric car bandwagon, before Peugeot Citroën could develop their own electric models. I was wrong. Mitsubishi has announced that its collaborative work with its french partner will be extended. Next project shall be a small truck. Probably a compact van as they’re so popular in Europe. Not in the US though, where the only vehicle of that kind is the Ford Transit Connect. It might be about using the drivetrain from the Mitsubishi i-MiEV in an existing french platform, or putting a french badge on the Cargo version of the Mitsubishi. I’ll write about it as soon as I’ll find out.